Kids Helpline has been helping Aussie kids for 28 years. Since 1991, Australia’s kids and young people have been turning to our professional, specialised counsellors, no matter who they are, where they live or what they want to talk about. Over this time, we have responded to over 8 million contacts. For some young people, connecting with Kids Helpline has been a life-saving experience, while for others it’s about practical help and emotional support at the critical moment they need someone to listen. A lot has changed in 28 years. Our communities have changed, the issues kids face have changed, and the ways our counsellors engage with and help young people have changed. What hasn’t changed is that Helplines make a difference to the emotional wellbeing and lives of our kids every single day — ensuring young people know they are not alone. The two main values that underpin Kids Helpline practice are empowerment and child centred practices. We are committed to providing services that protect and keep children and young people free from harm. At all times children and young people are supported and encouraged to have their voices heard, to seek justice and to access counselling and other support services in order to overcome the impacts of harm. Kids Helpline maintains clear policies and procedures to ensure appropriate risk management strategies are in place as part of our commitment to the safety and well-being of children and the protection of children from harm. These include a code of conduct for interacting with children and young people, the recruitment and training of staff and the handling disclosures or suspicions of harm. Our service is for the community, funded by the community. Kids Helpline costs around $11 million a year to operate. 79% of this comes from the community, with the primary source of income being funds raised through the yourtown Prize Home Art Union. Young people’s help seeking behaviour is dynamic and is reflective of the technology and times. By partnering with leading research organisations we produce evidence to inform and develop services that improve both reach and effectiveness. 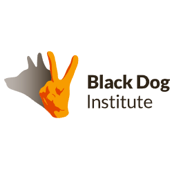 We partner with the Black Dog Institute (and Sydney University), to develop and pilot a world first. KHL Circles are online peer to peer support groups (moderated by Kids Helpline counsellors) to assist young people to improve their self-management of mental health concerns. 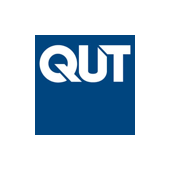 We are partnering with QUT on research that will develop new online interactive technologies. Together, we are exploring ways to help young people build relationships, manage mental health and thrive. 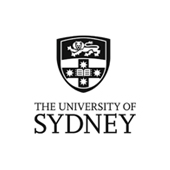 We are partnering with Sydney University (and Black Dog Institute), to develop and pilot a world first. KHL Circles are online peer to peer support groups (moderated by Kids Helpline counsellors) to assist young people to improve their self-management of mental health concerns. We are proud to be part of this collective, working with other network partners to develop new online engagement and intervention tools. 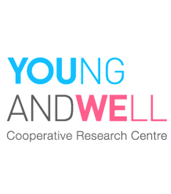 Together we uncover ways to support young people in strengthening their emotional wellbeing.